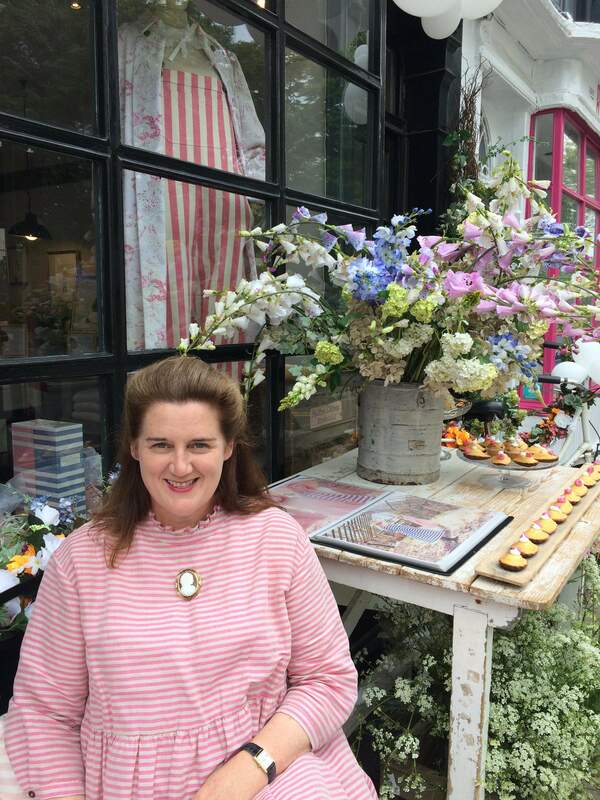 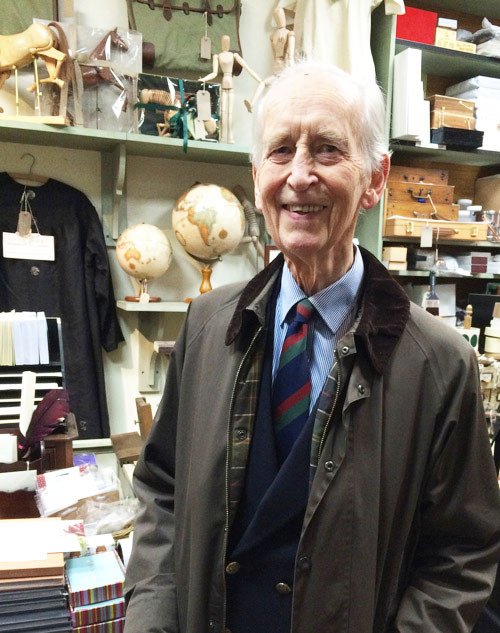 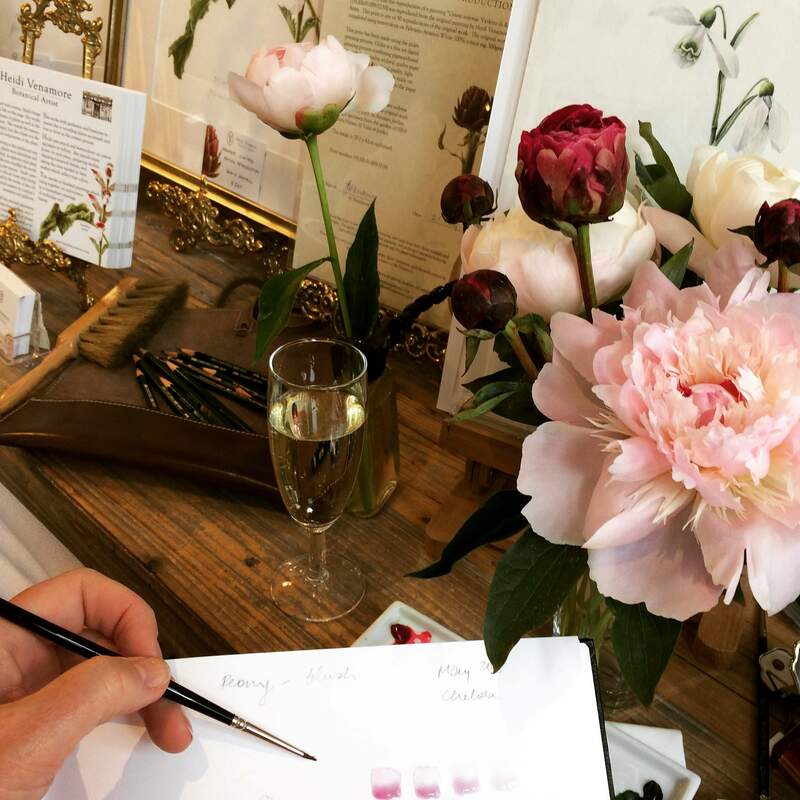 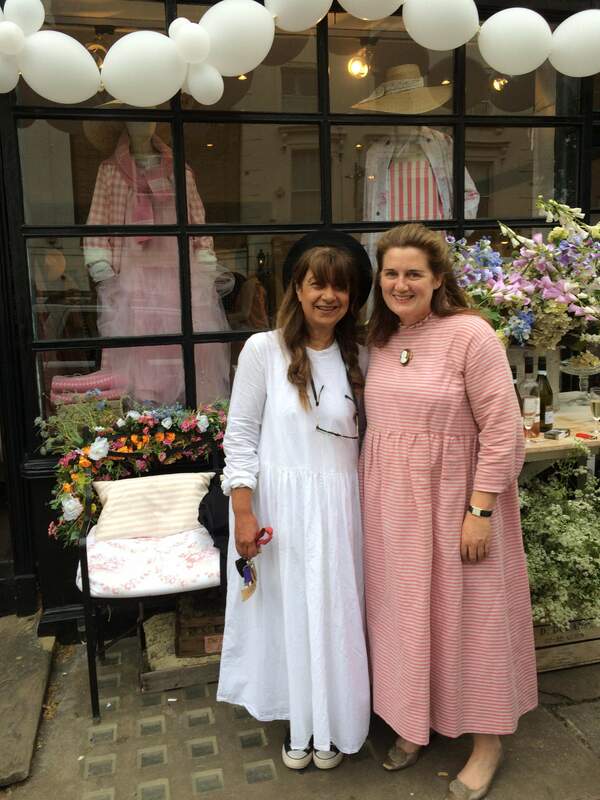 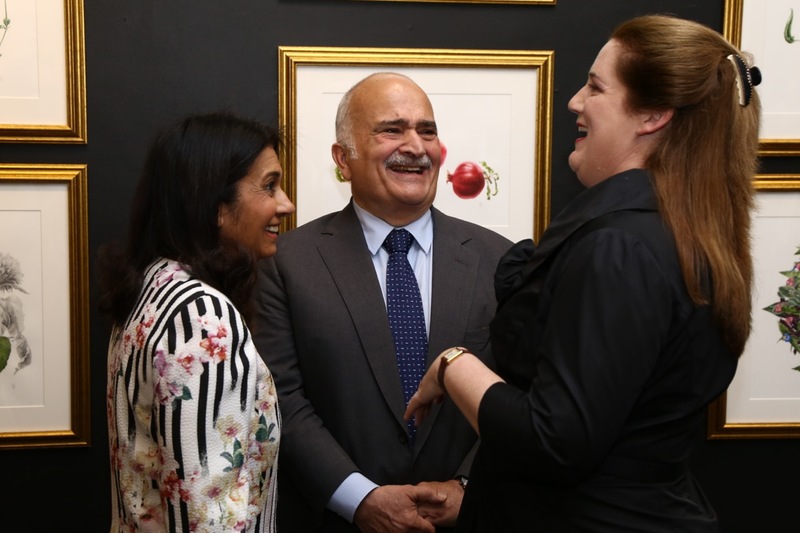 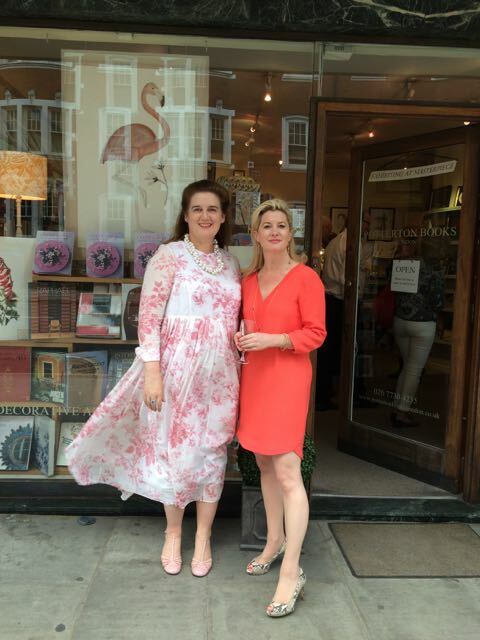 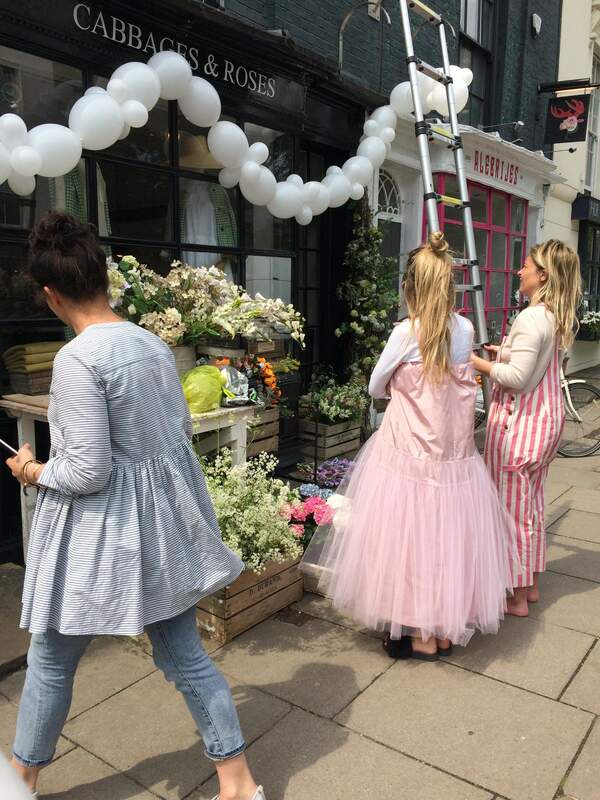 In the beautiful surrounds of Christina Strutt's boutique of quintessentially English clothes, I held a pop-up exhibition for 10 days to coincide with the Chelsea Flower Show. 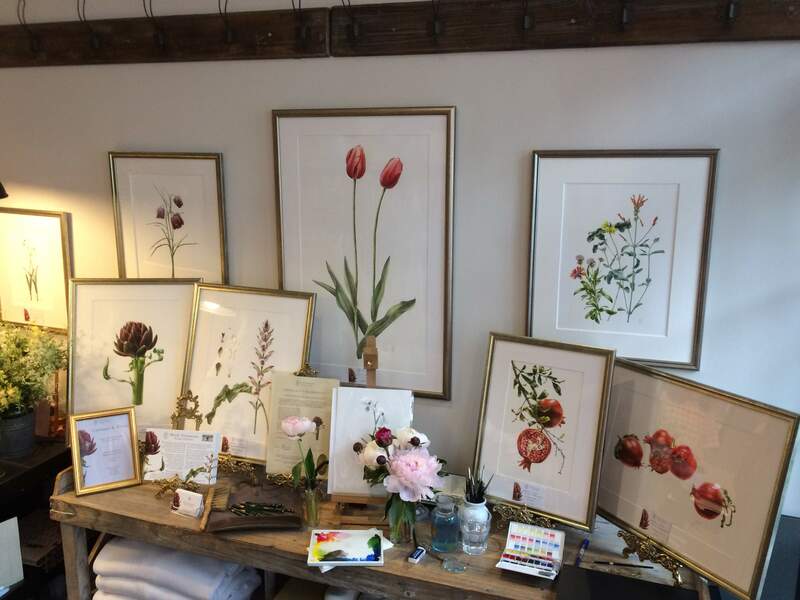 With some new originals painted on the theme of spring flowers, I enjoyed some lovely bright hanging space. 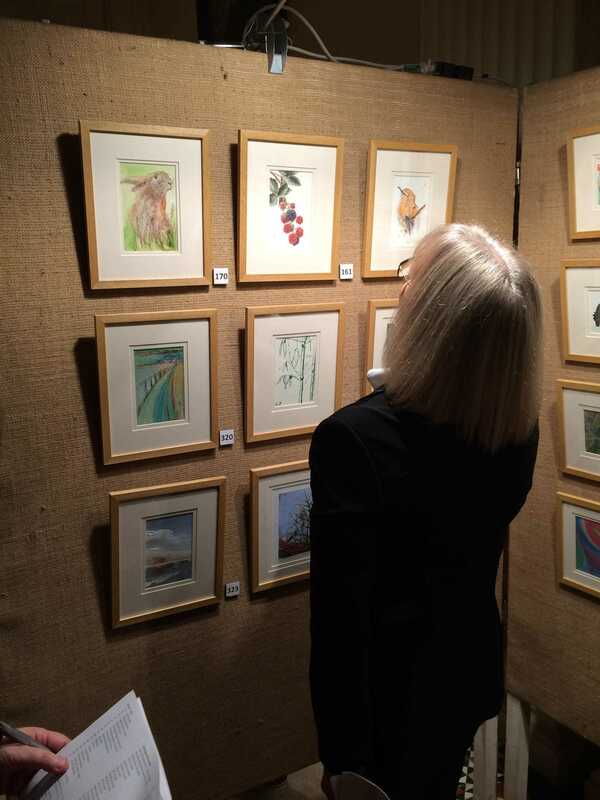 I also had the chance to do a but of sketching and preparation work as a demonstration. 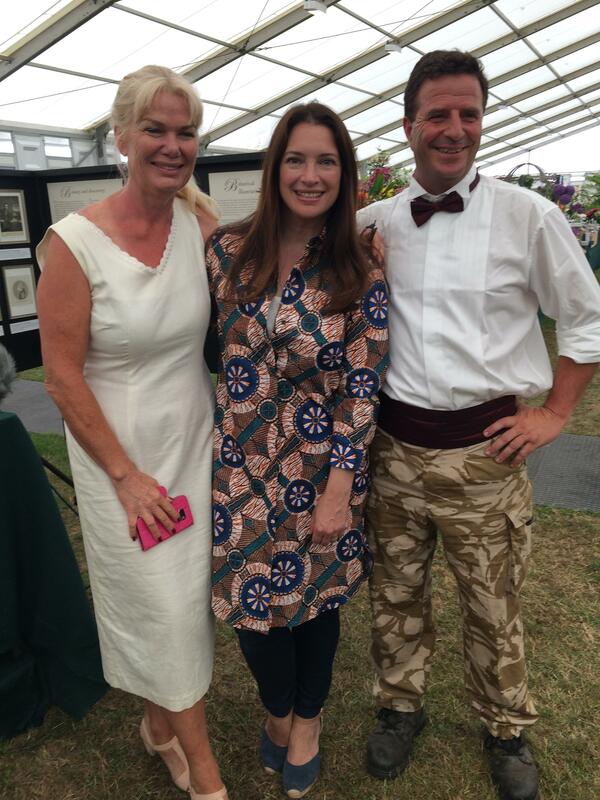 I enjoyed the opportunity to chat with collectors and painters who dropped in, as well as Christina's customers who had popped in for some wardrobe enhancements. 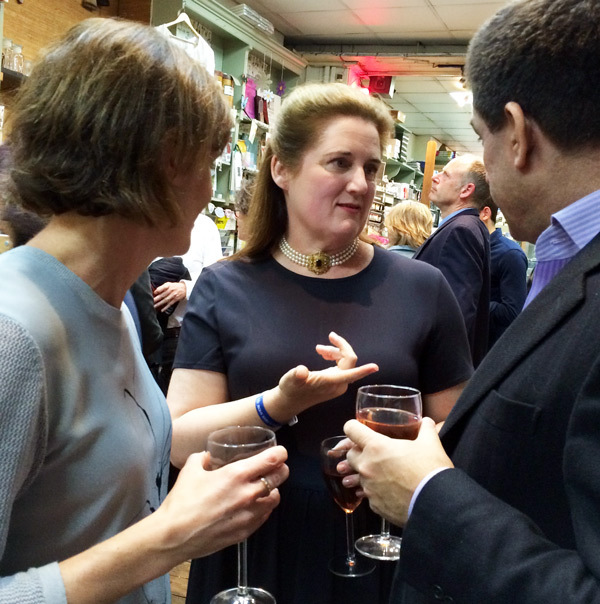 A treat for me, and a wonderful opportunity to meet some new people. 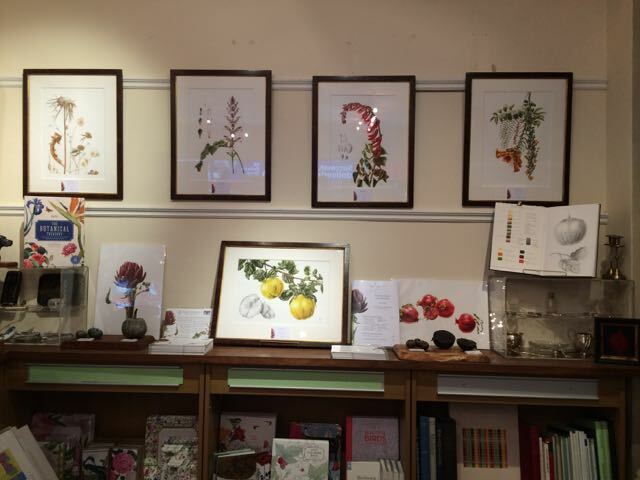 Exhibit of the recently acquired painting Dahlia 'Twynings After Eight' by Heidi, alongside other works in the RHS collection. 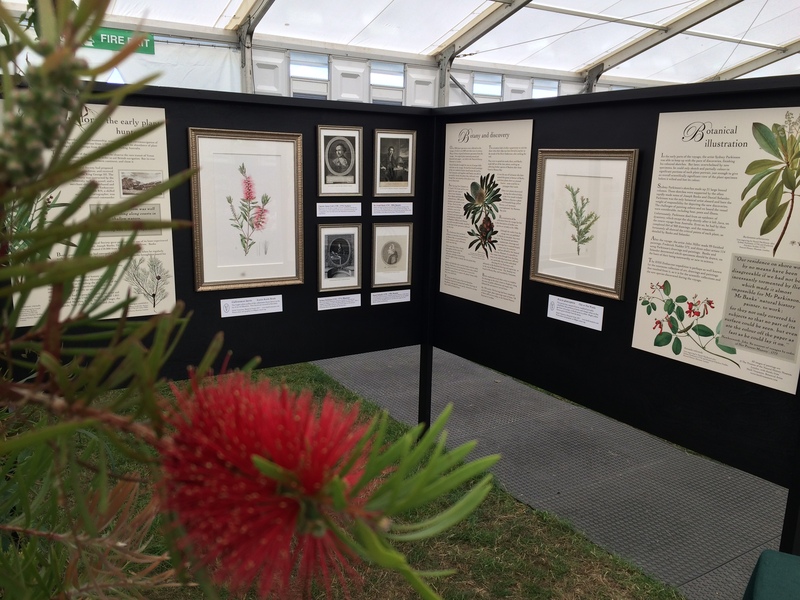 To coincide with the Botanical Art Worldwide event on 18 May 2018, the RHS Lindley Library will be presenting a slideshow with 1000 image from the international exhibitions from 25 countries participating in this event. 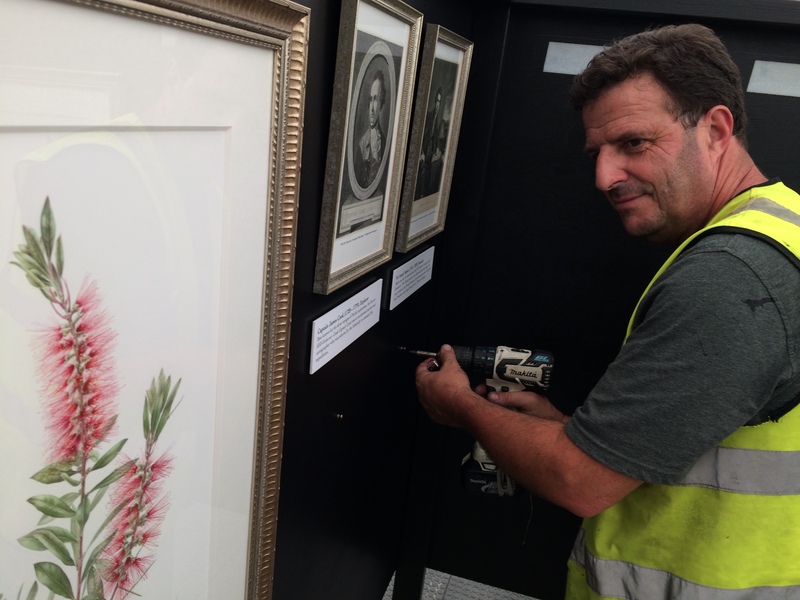 There will also be an opportunity to join a curated tour of artworks from the RHS Lindley Library Art Collection on this day. 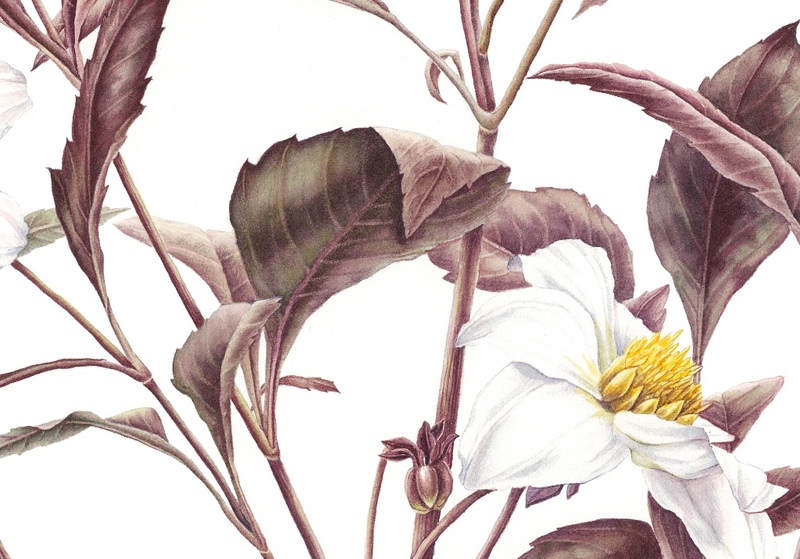 This will include the opportunity to see the Lindley Library’s most recent acquisition, Dahlia ‘Twynings After Eight’. 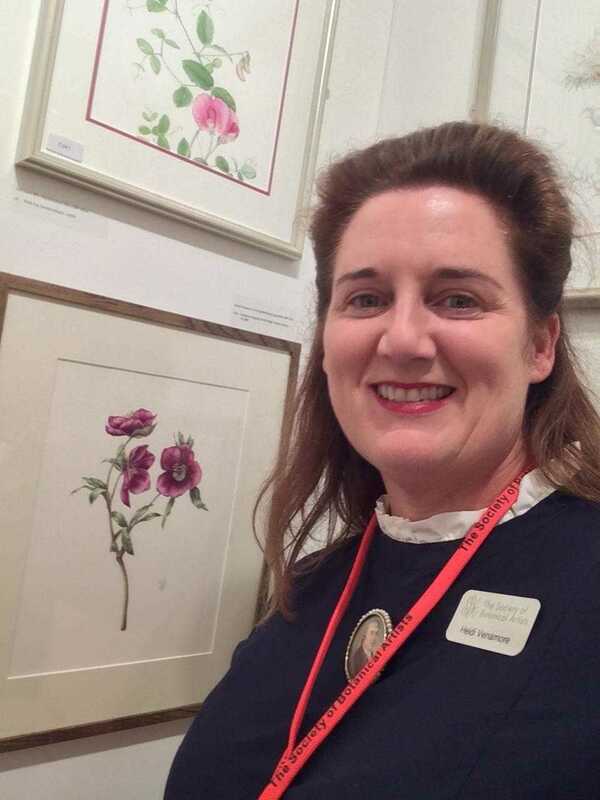 For the first time at the RHS, this watercolour painting by Heidi Venamore, will be on display alongside the preliminary sketches for this piece which the RHS has also acquired. 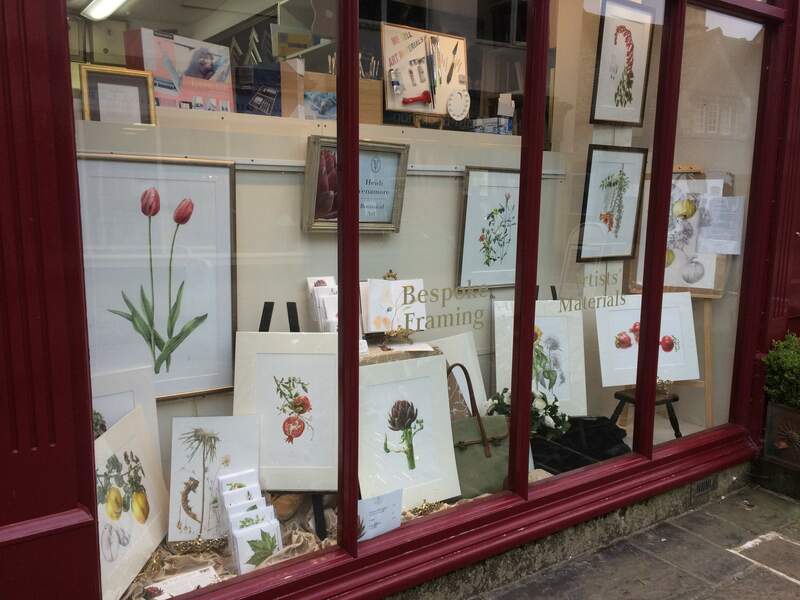 During the darkest, bleakest week of the year, Heidi took over the window of her local framer’s 17th century shopfront in Corsham, Wiltshire. 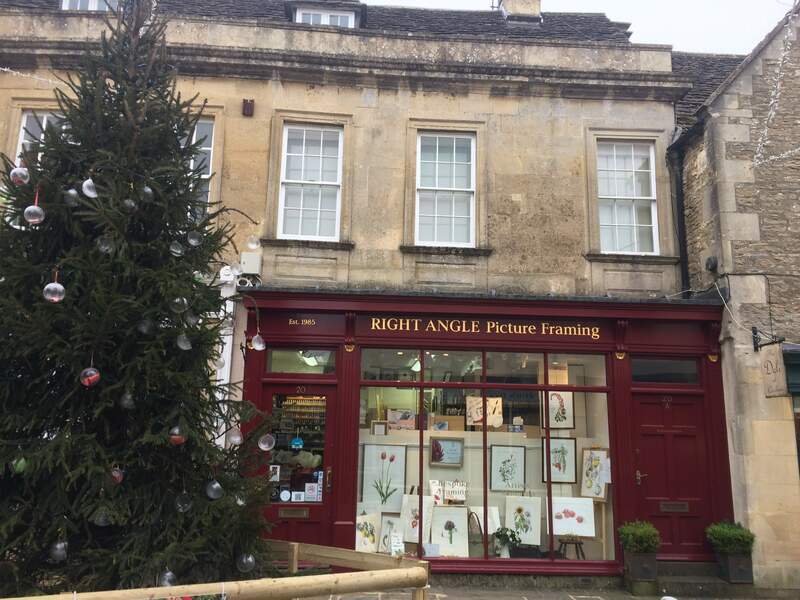 Corsham is a beautiful town, with 15th century origins, a historic house (Corsham Court) and peacocks which freely wander about the streets. 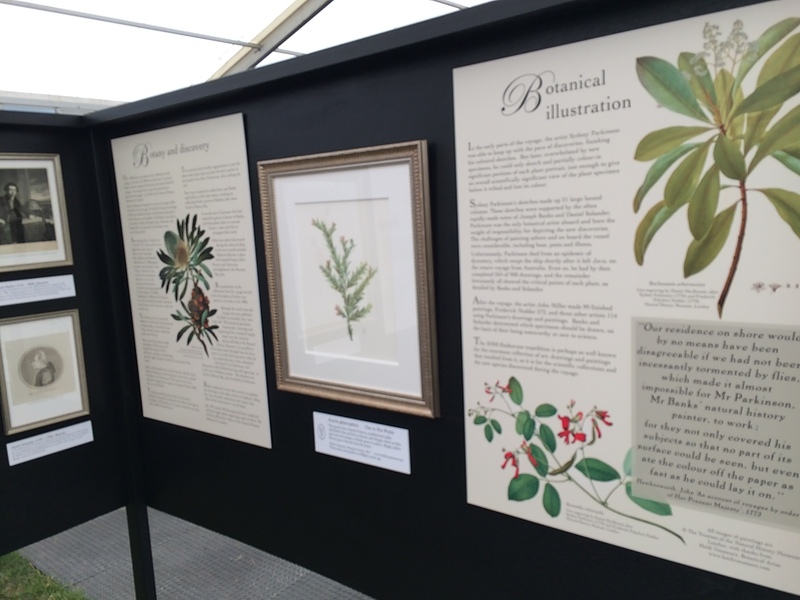 The exhibition was a chance to engage with new audiences wandering past the window, some of whom were not familiar with the discipline of botanical painting. 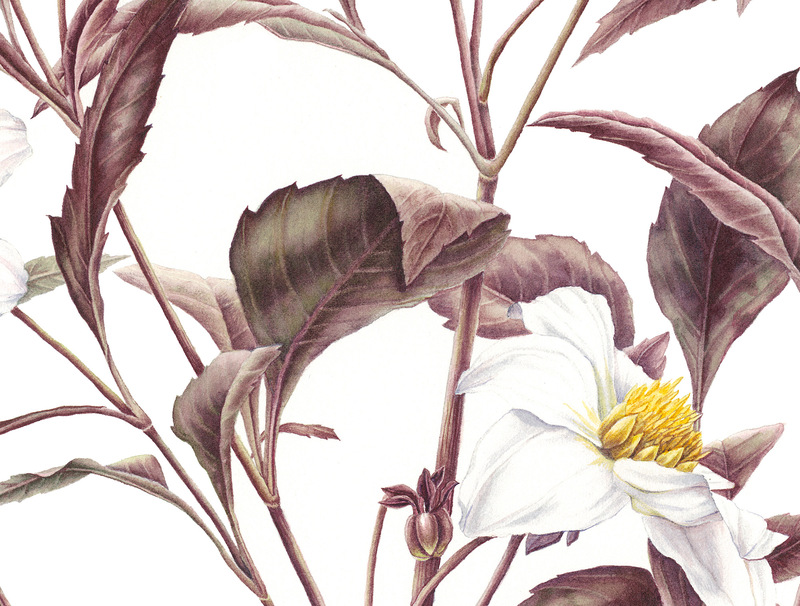 Heidi's work in progress painting of a quince branch proved popular with those wanting to understand the process better. 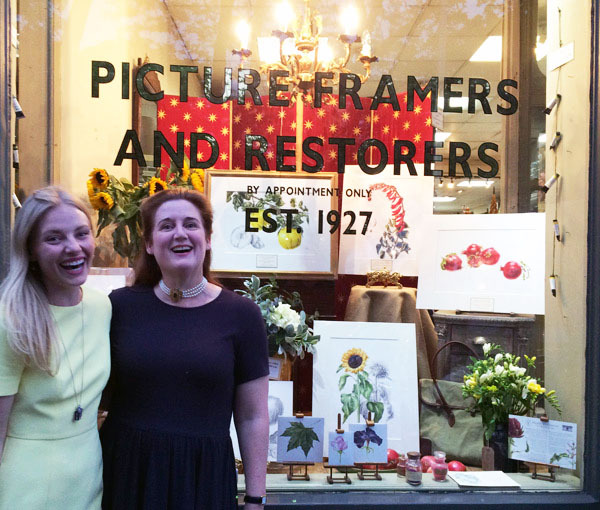 Many thanks to Steve from Right Angle Picture Framers, who was a delightful host. 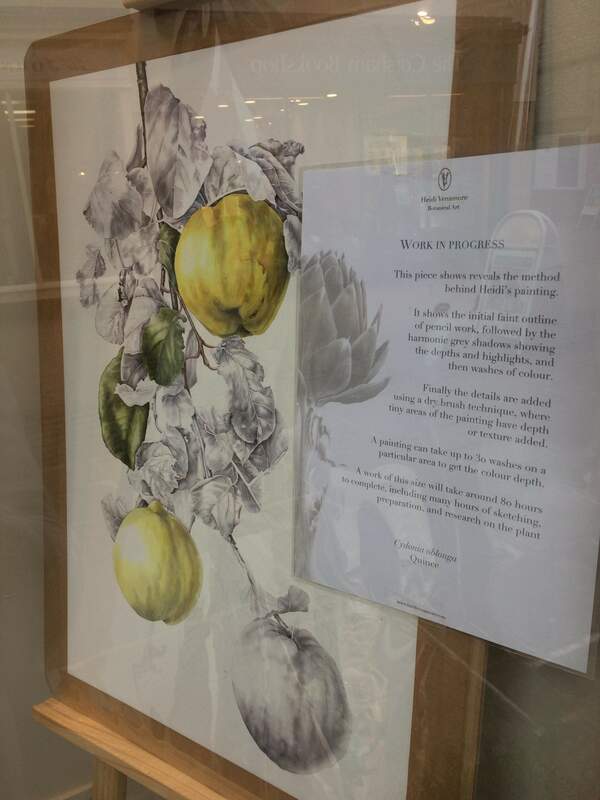 Heidi had her Quince Study hanging in the prestigious 20th Annual Exhibition at the New York Design Centre. 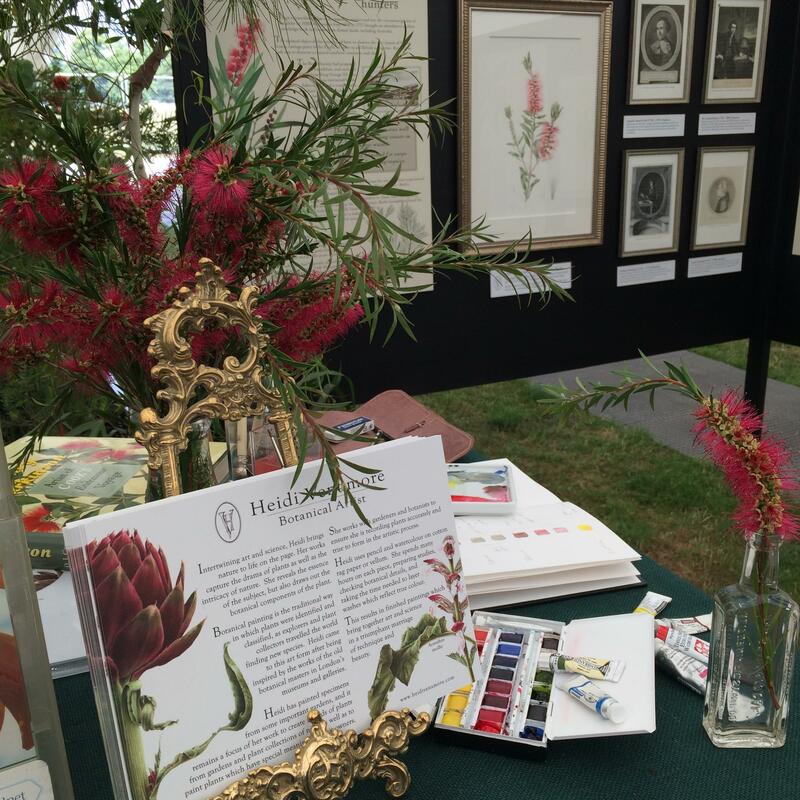 The ASBA holds this event in cooperation with The Horticultural Society of New York. 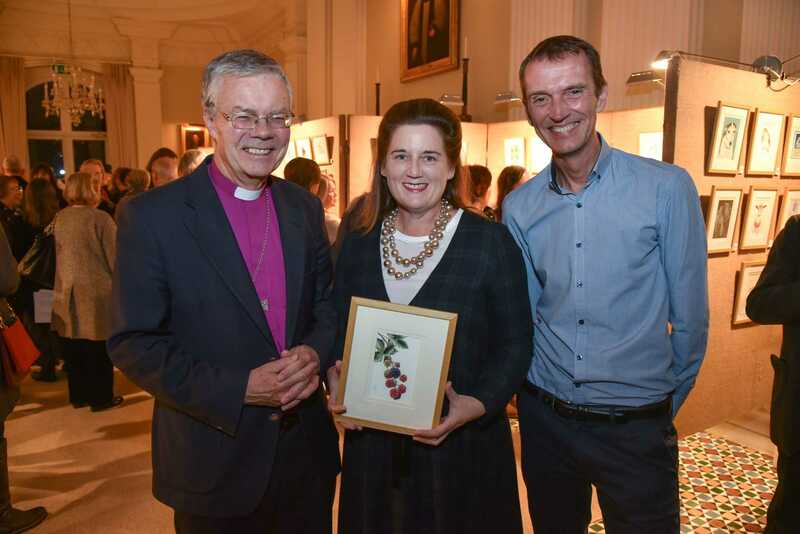 Heidi painted a small, postcard-sized piece for the Postcards from Life exhibition to raise money for St Michael's Hospice, Hereford. 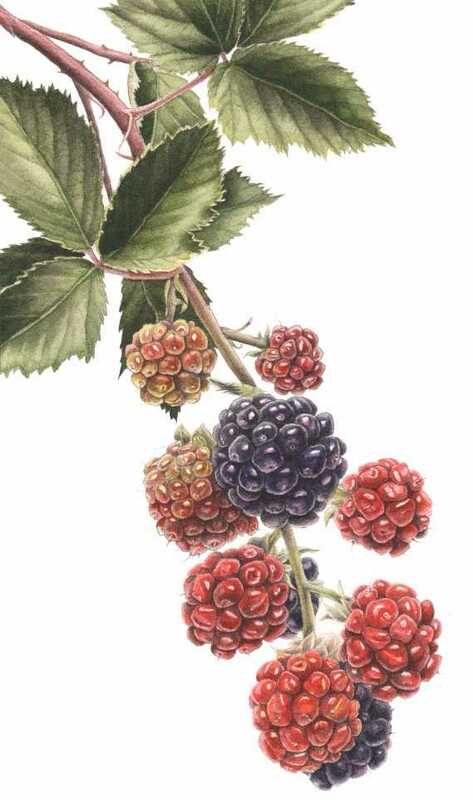 Heidi has always wanted to paint the delicious and beautiful fruit of the blackberry, with their variety of colours and development on one branch. 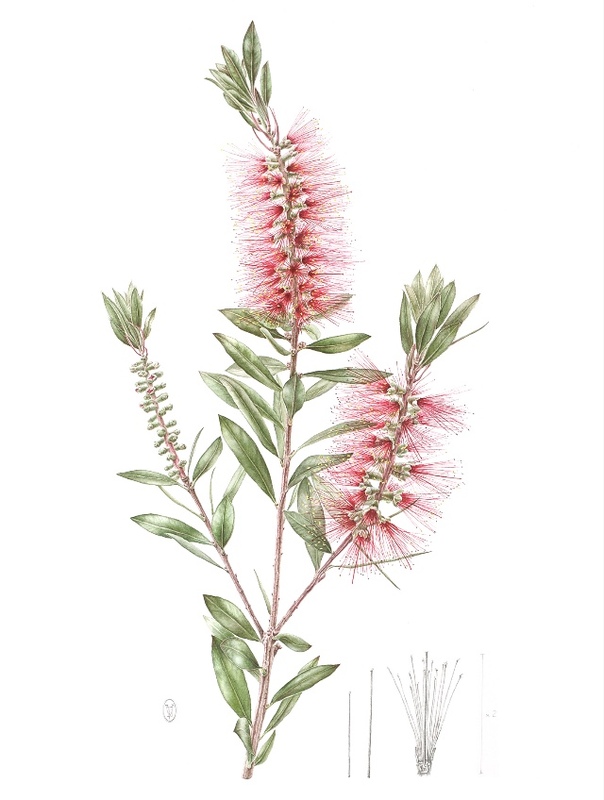 She has one in the garden, and it's such a treat to eat from the canes directly, though one always pays a price in thorns. 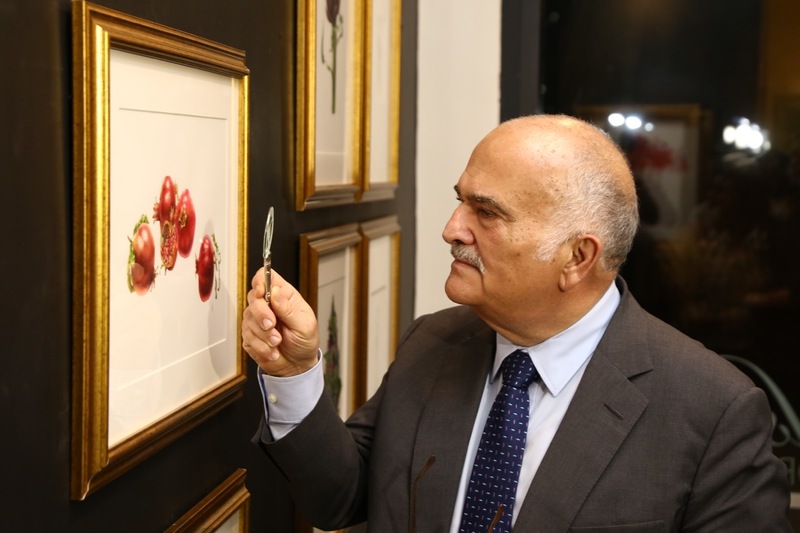 She wanted to paint a jewel-like small piece, which would appeal to bidders. 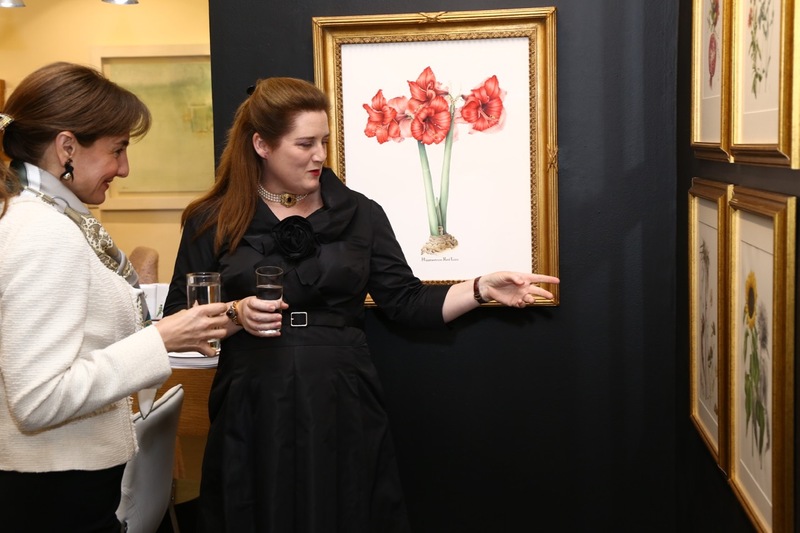 Heidi was very happy to learn that her painting sold for the highest amount at the auction. 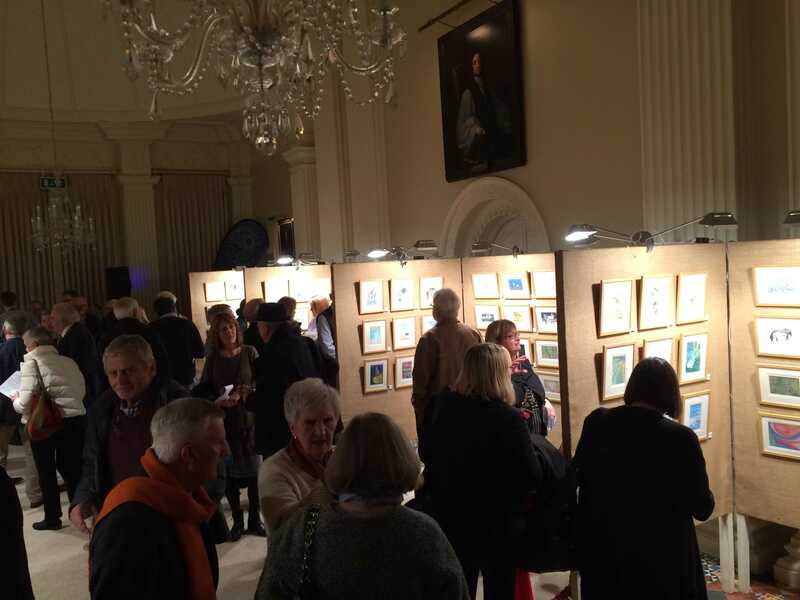 There were 600 visitors to the live exhibition, 1200 bids, and the auction raised over £12,000 pounds. 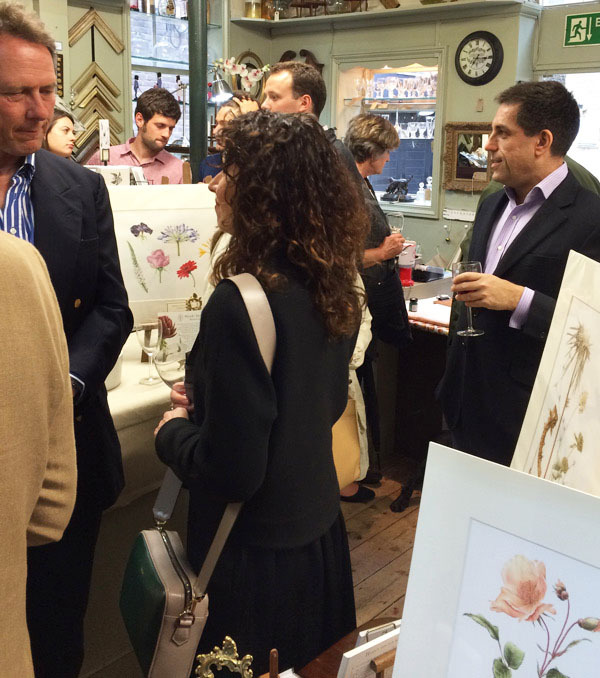 It was generously supported by sponsors, including Brightwells, the auctioneers, and Pol Roger who provided champagne for the private view. 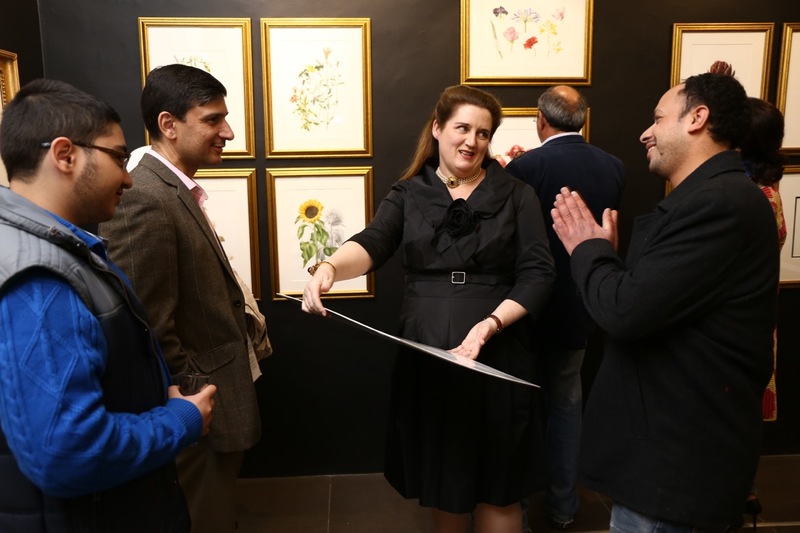 This year's London exhibition of the Society was held from 13 to 21 October 2017. 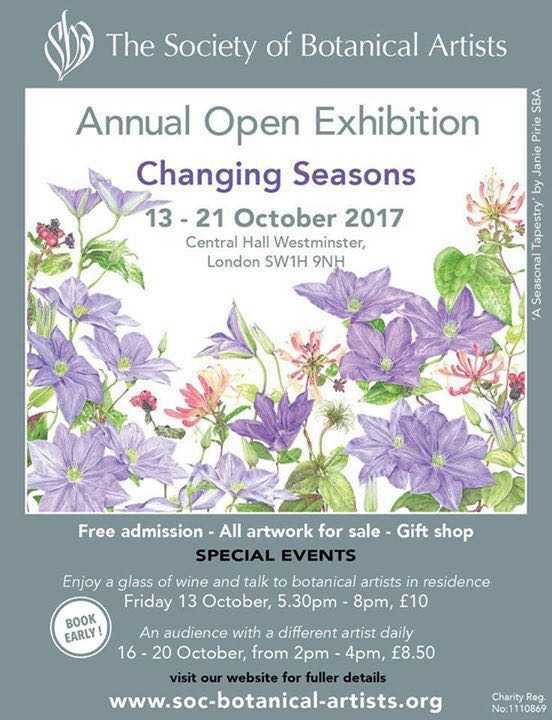 The exhibition was held at Central Hall Westminster. 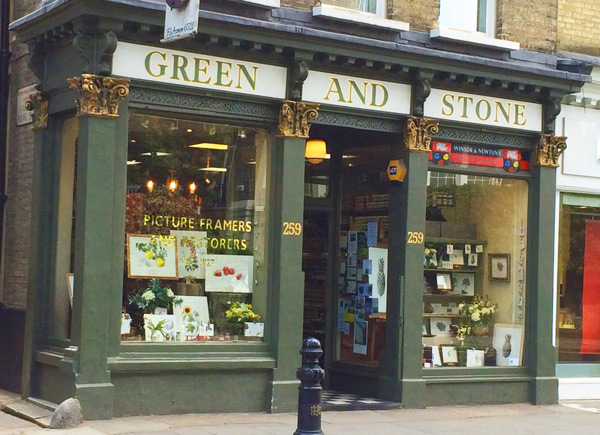 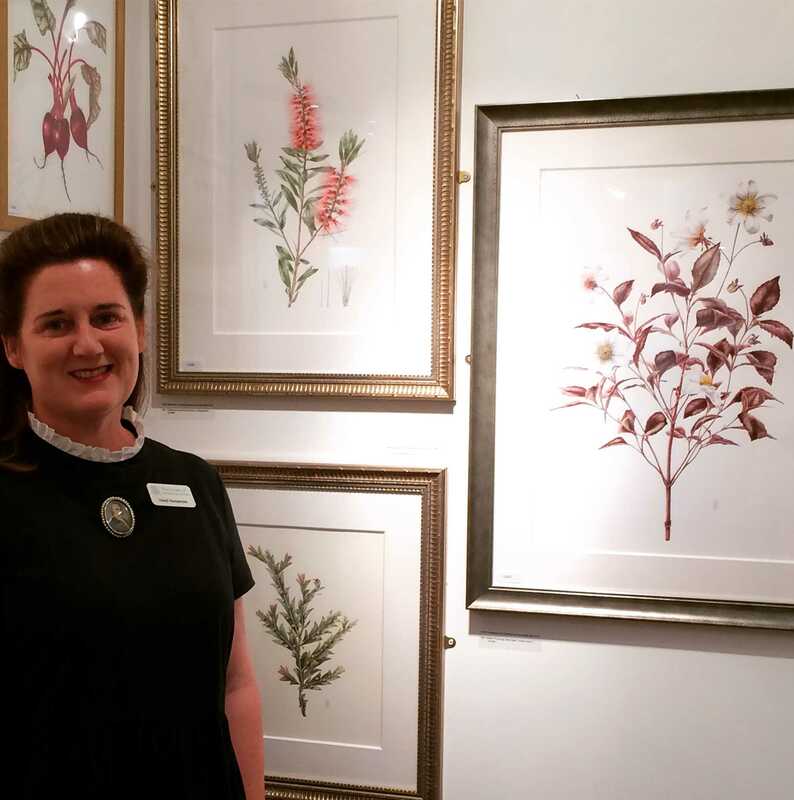 It was terrific place to see a wide range of botanical art in a central London location. 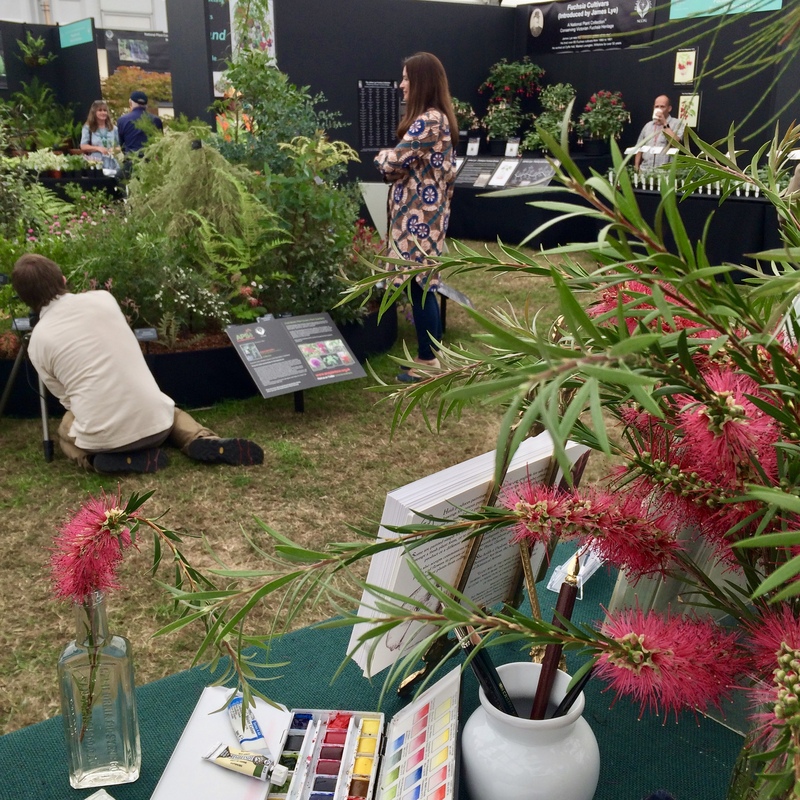 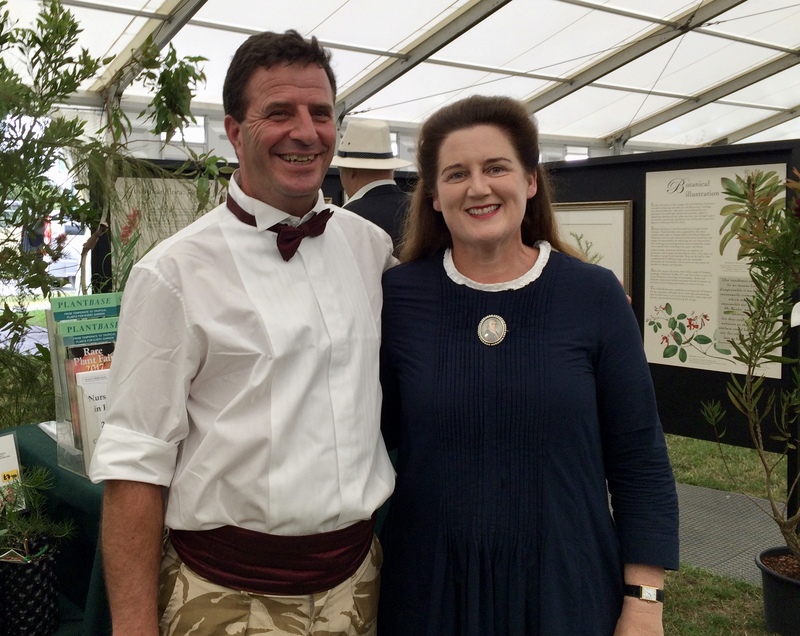 Heidi worked with The Australasian Plant Society and Plantbase to highlight Australian flora in an event for RHS Hampton Court Flower Show this year. 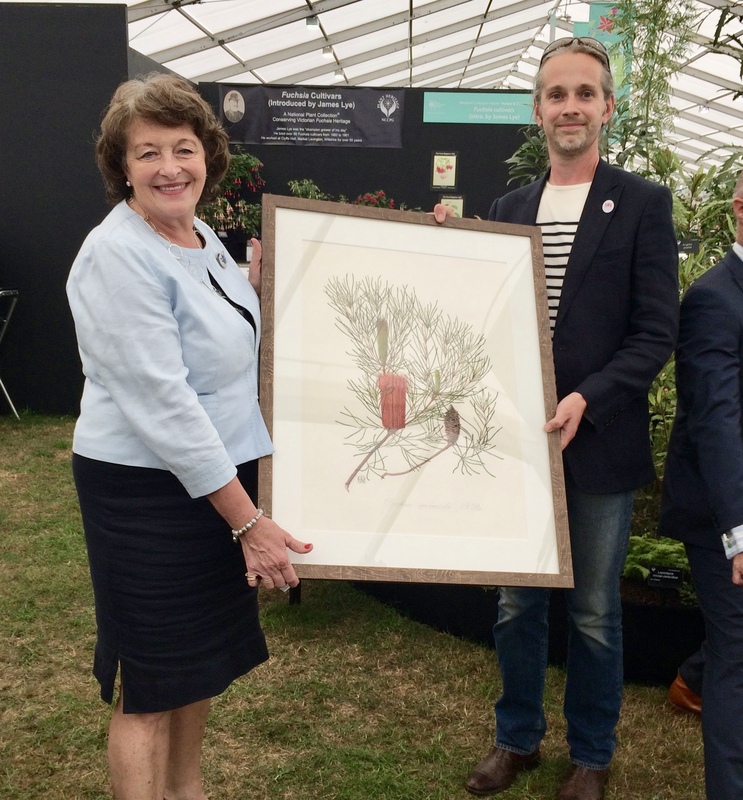 A presentation of the first Australian plant ever to flower in the UK, Lambertia formosa, was made to Dr Tim Upton, Director of Horticulture for the Royal Horticultural Society by Mrs Nicky Downer AM, wife of the Australian High Commissioner, on 3 July. 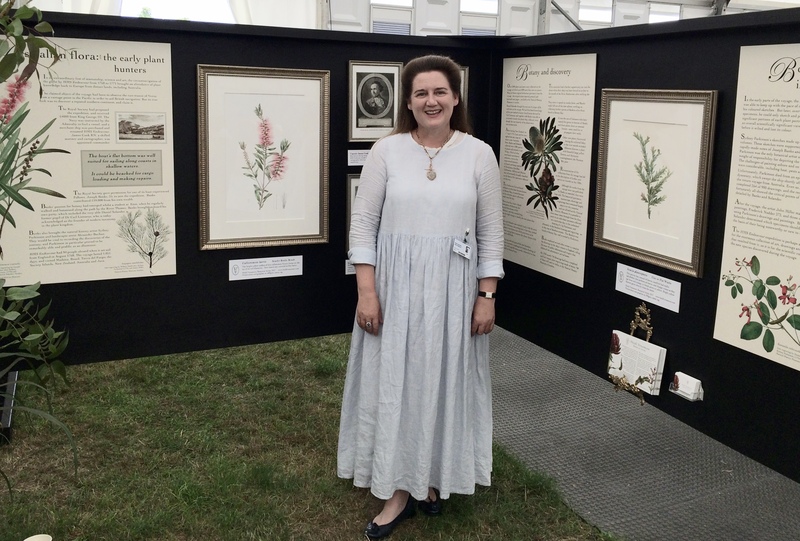 Heidi exhibited watercolour and graphite botanical paintings of Australian plants (Callistemon rugulosus and Acacia glaucoptera) alongside some storyboards describing the work of the early plant collectors and painters who travelled to Australia. 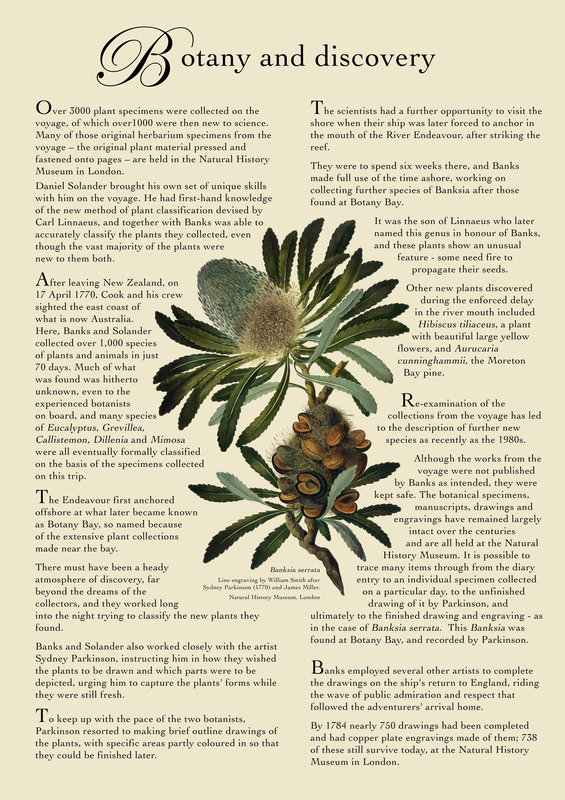 To illustrate the presentation, Heidi worked with the Natural History Museum, London, to select a number of images of Australian natives collected by the botanists Joseph Banks and Daniel Solander on their 1768-71 voyage, and illustrated by Sydney Parkinson. 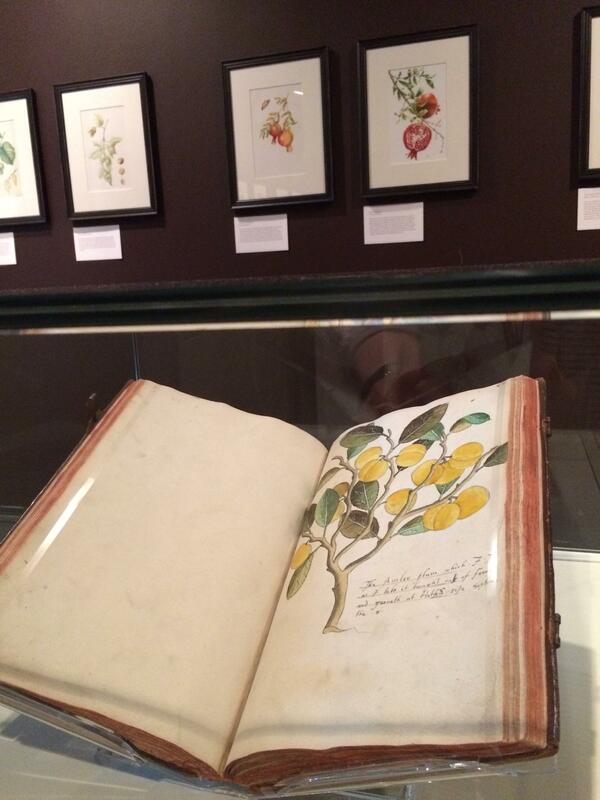 Heidi has also researched materials at the RHS Lindley Library in London for this project. 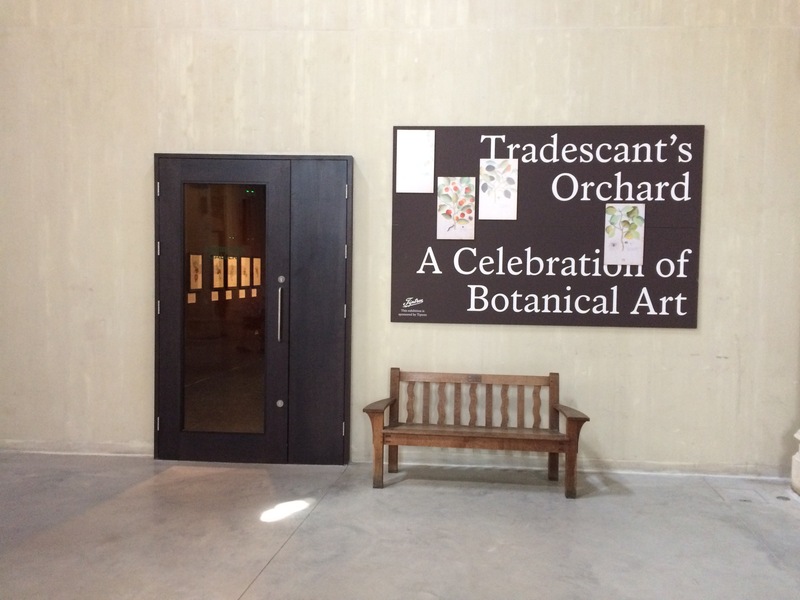 The London Garden Museum Tradescant Exhibition was a botanical art exhibition to mark the re-opening of the Museum, focusing on the work of the John Tradescants, the great plant collectors, who are buried at the Museum. 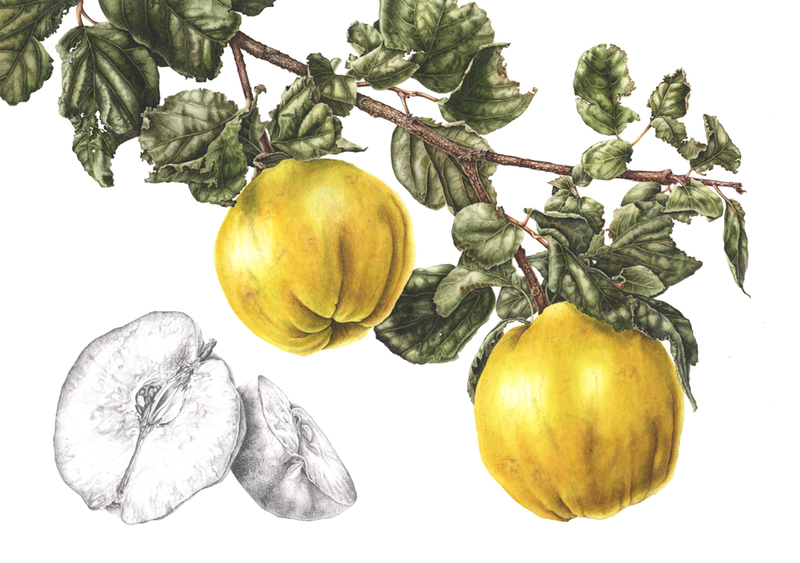 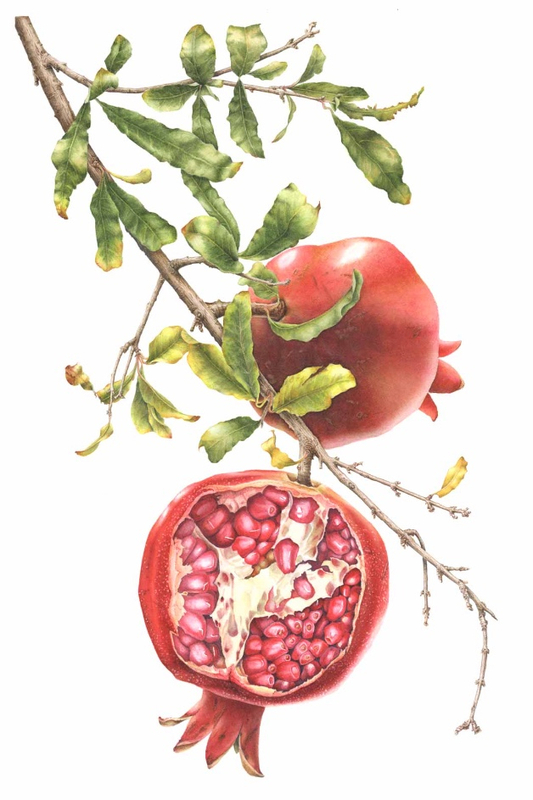 Fifty paintings by modern botanical artists were on display, including a painting of pomegranates by Heidi. 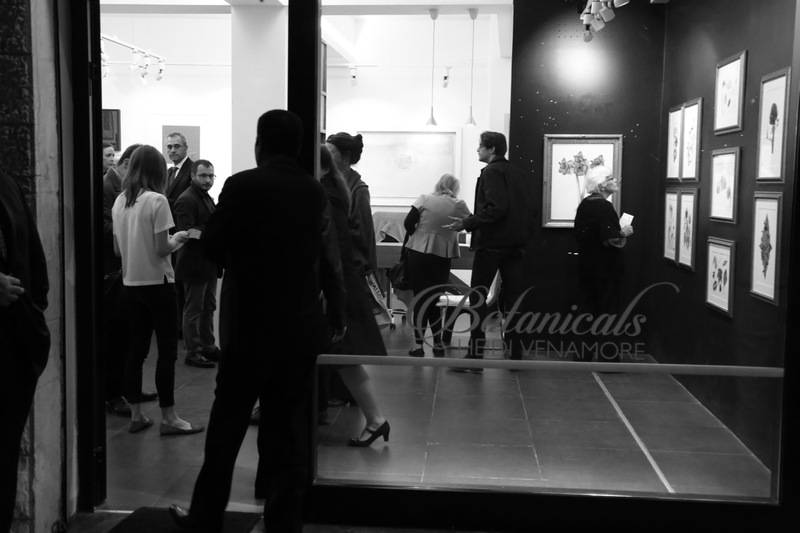 The exhibition was extended until October. 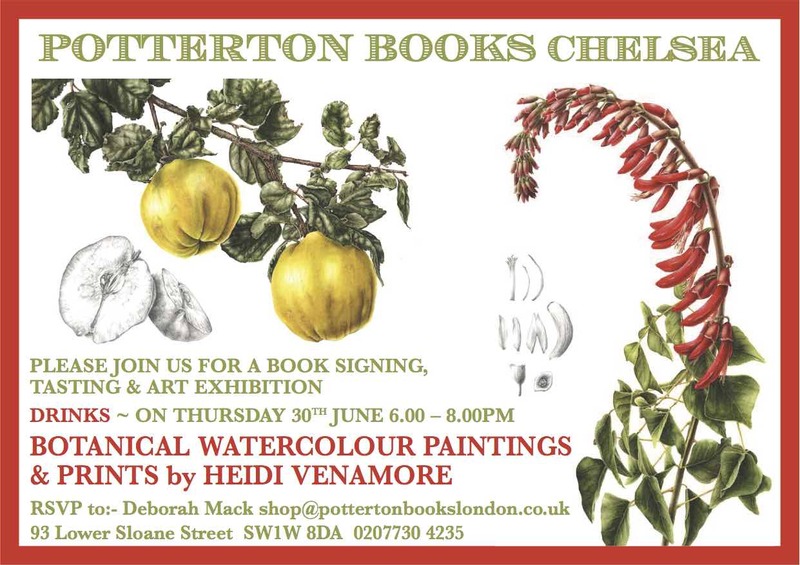 Alongside the launch of Henrietta Inman's book "Clean Cakes" at Potterton Books, Heidi's originals and prints were exhibited for a month, with the private view on 30 June. 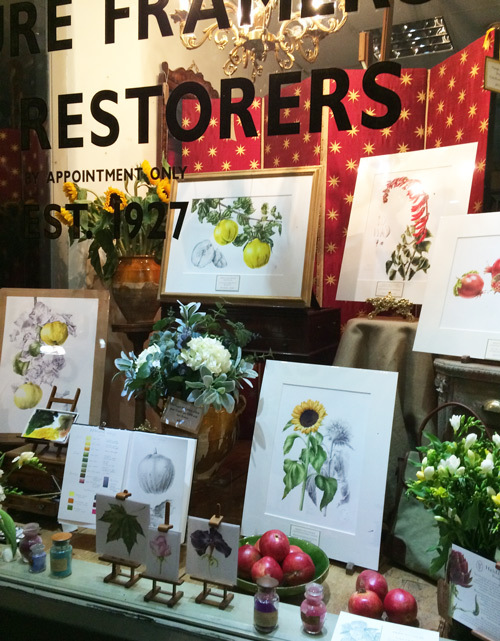 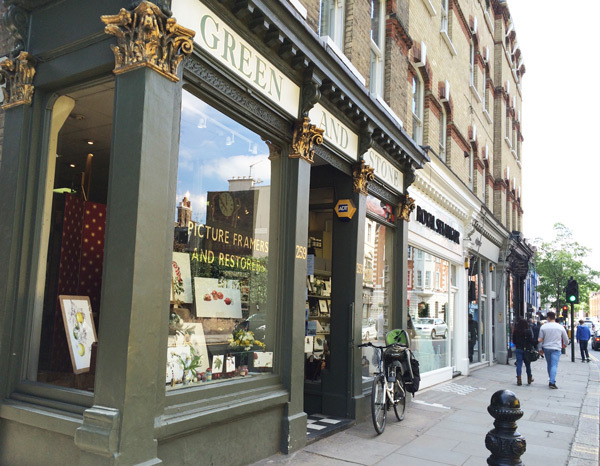 Heidi's window exhibition at the art shop Green &Stone, 259 Kings Road, Chelsea, London, with Lale Guralp, Botanical Artist, was held from 20-30 May 2016, to coincide with the RHS Chelsea Flower Show. 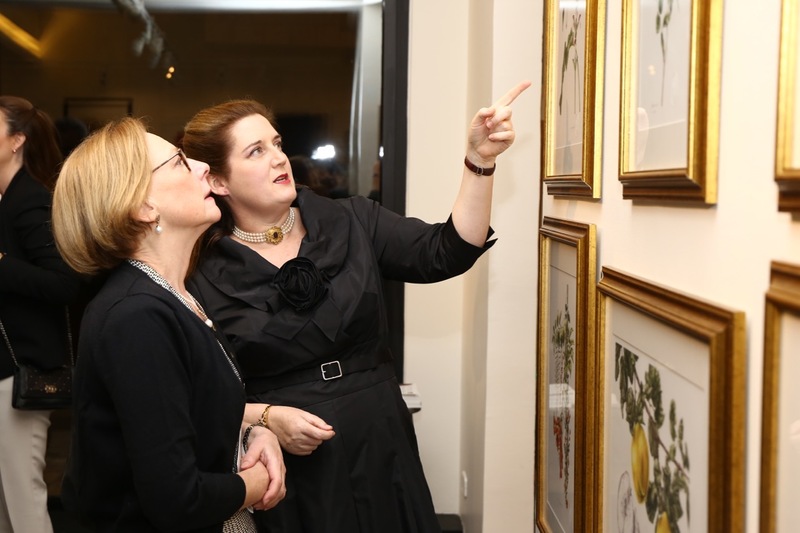 Private views on 22 and 23 May were a delight. 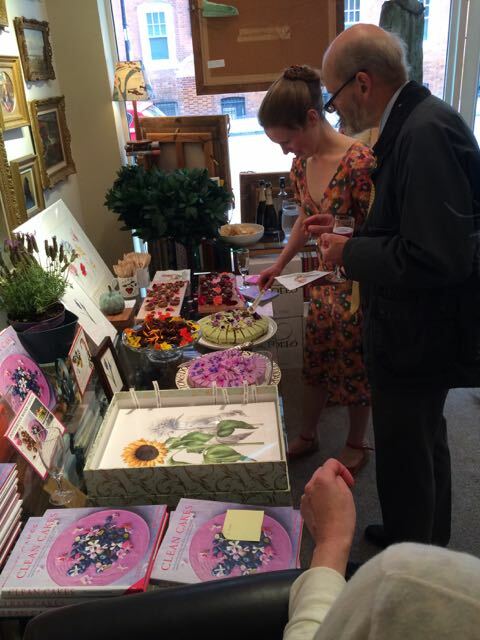 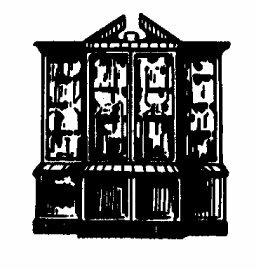 Rodney and Hester Baldwin were wonderful hosts, and their magical shop was the perfect backdrop for the exhibition and private views. 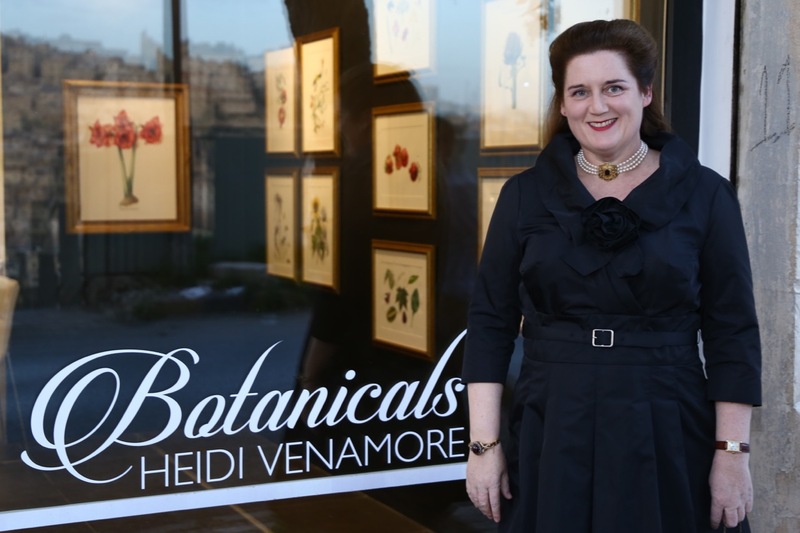 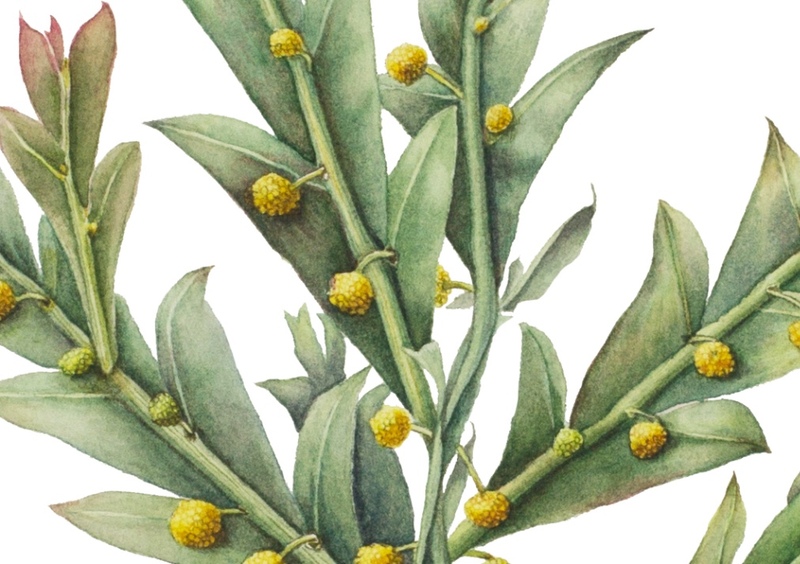 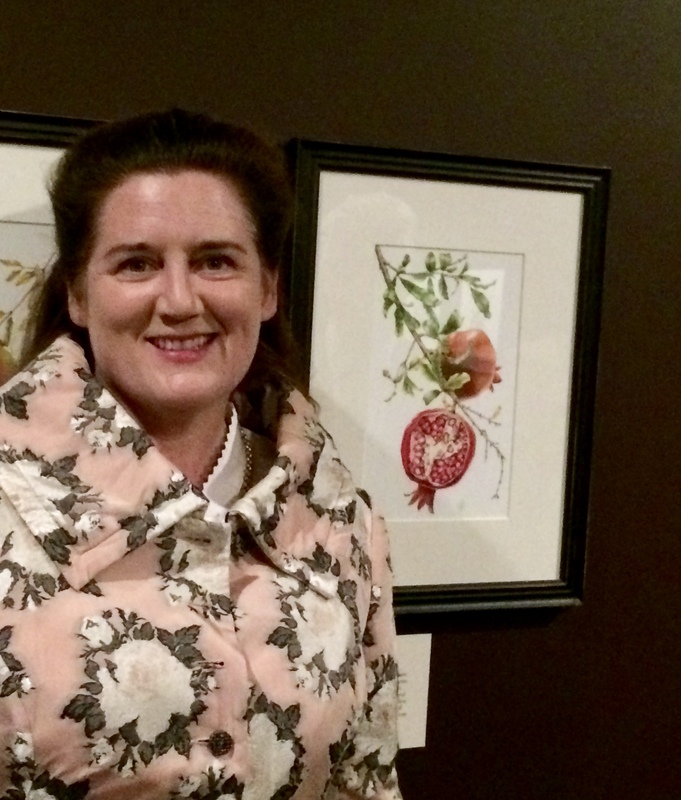 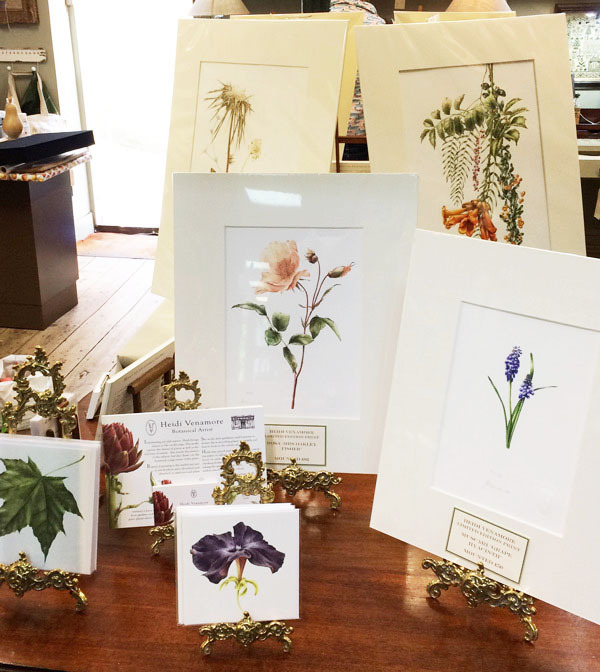 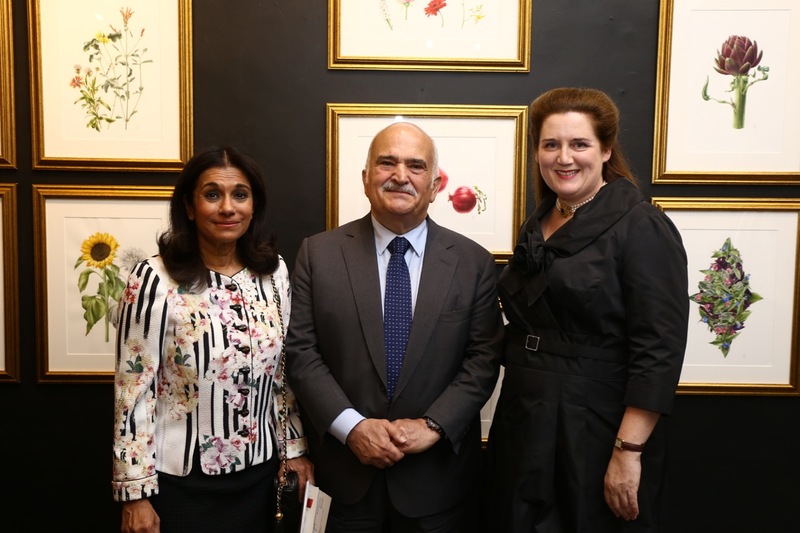 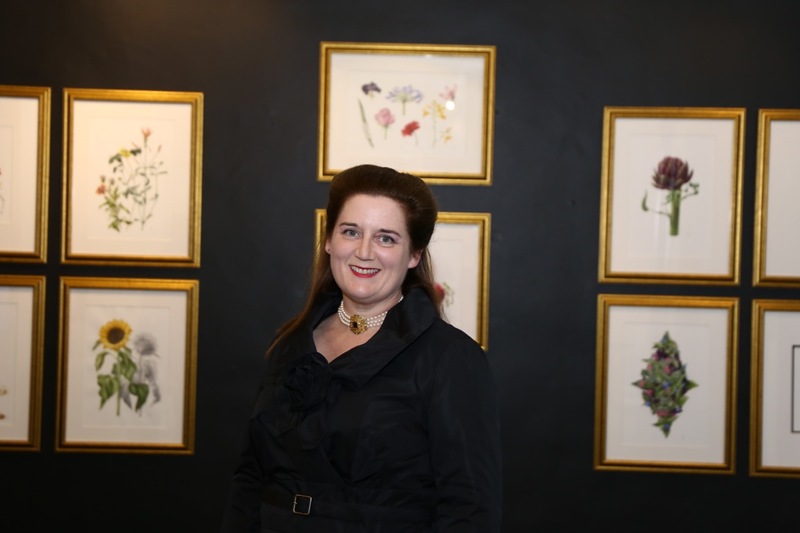 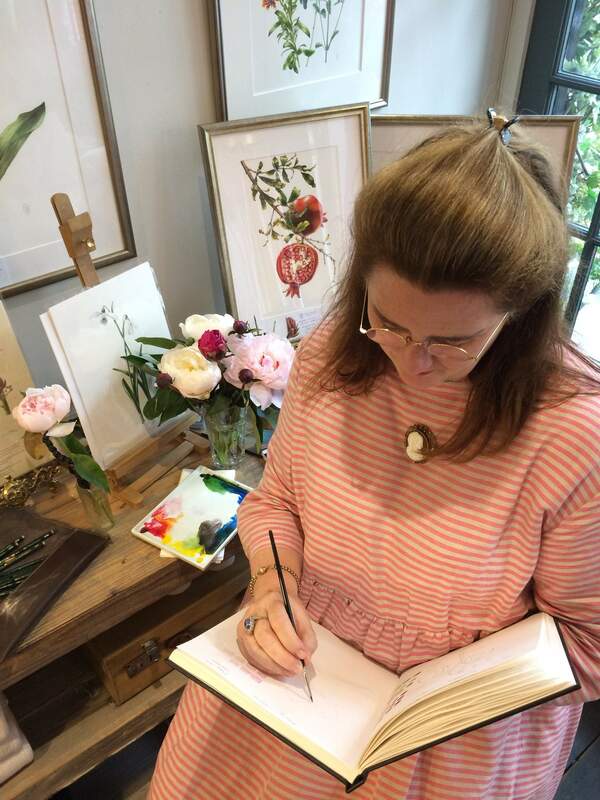 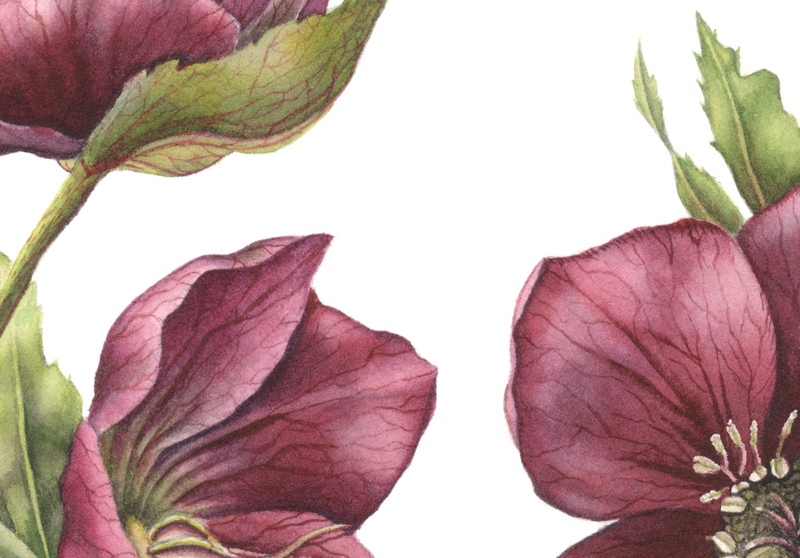 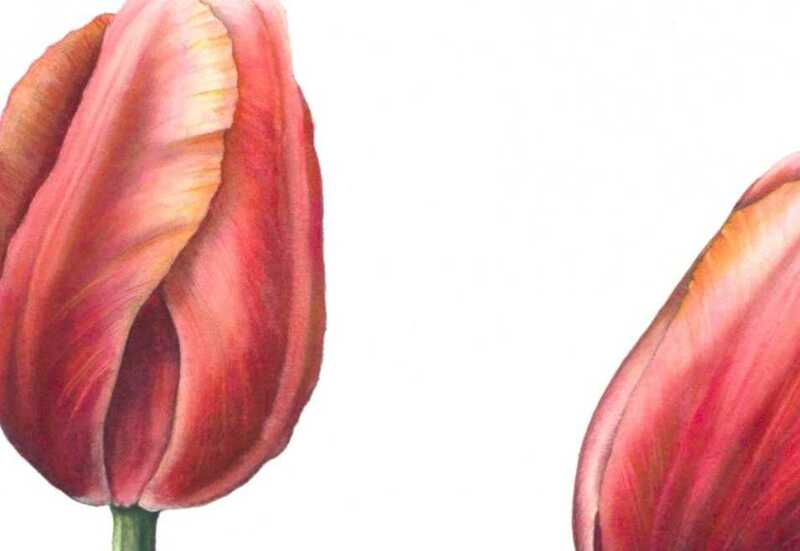 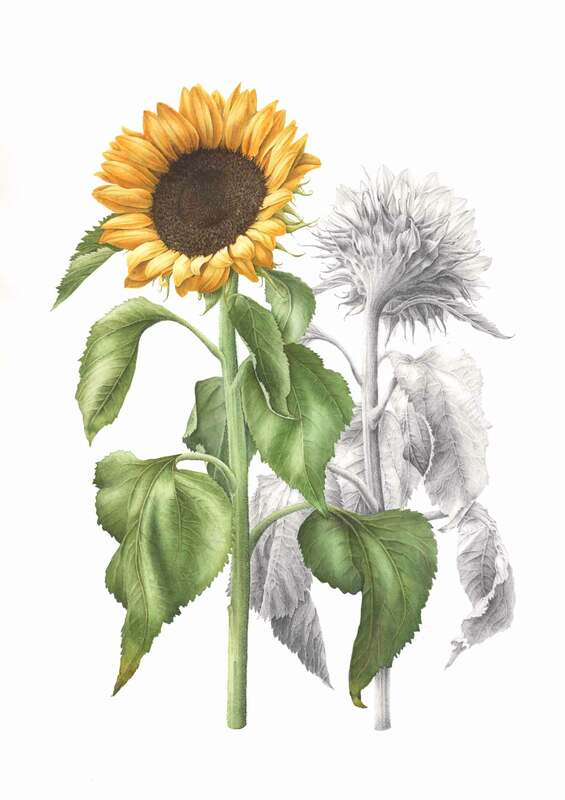 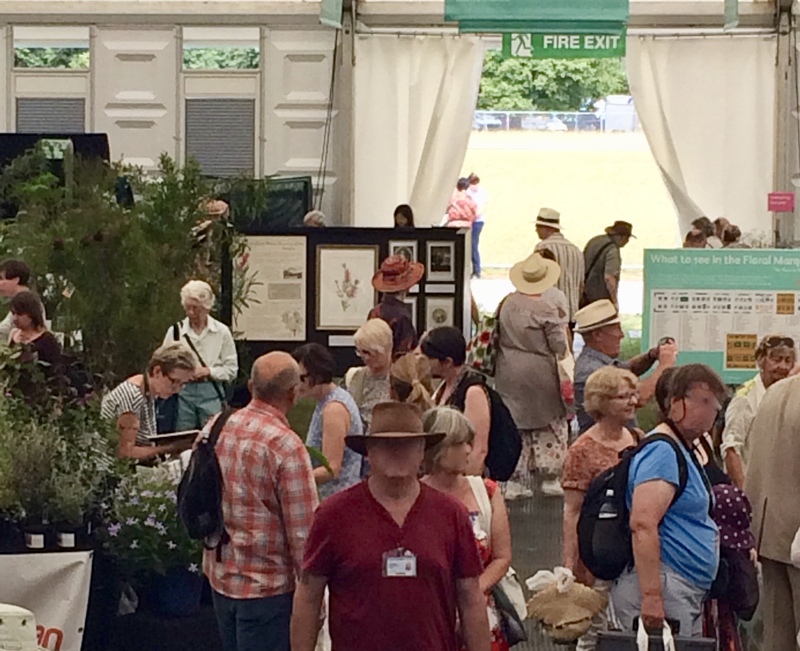 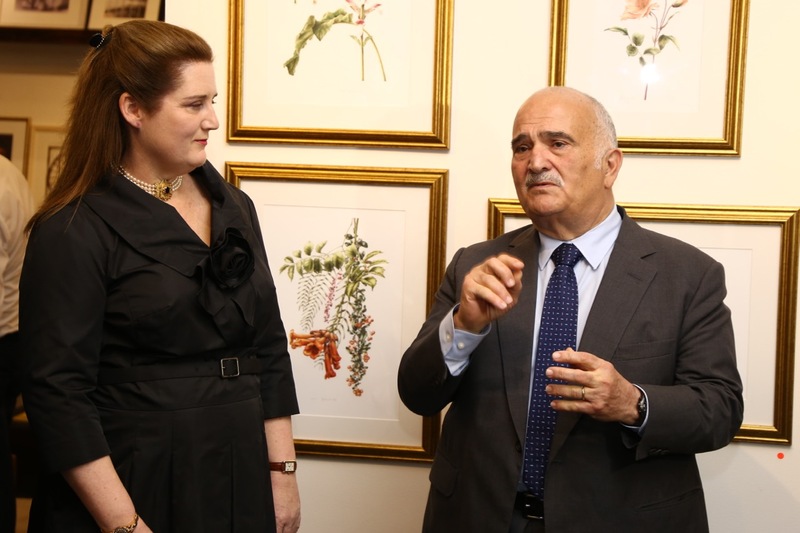 Heidi presented botanical works in watercolour and graphite and limited edition reproductions depicting exotic and native plants from Europe and the Middle East. 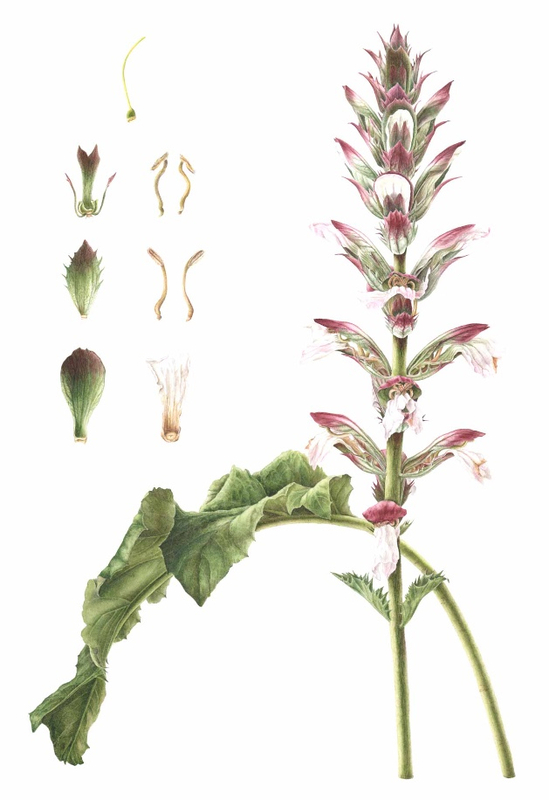 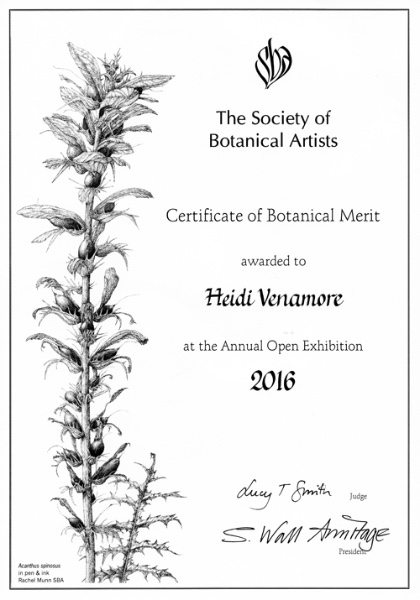 Heidi was awarded a Certificate of Botanical Merit for her Acanthus mollis at this exhibition. 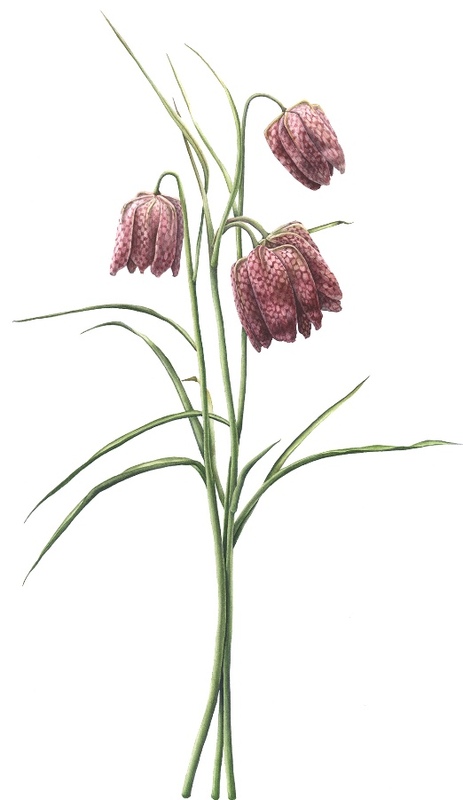 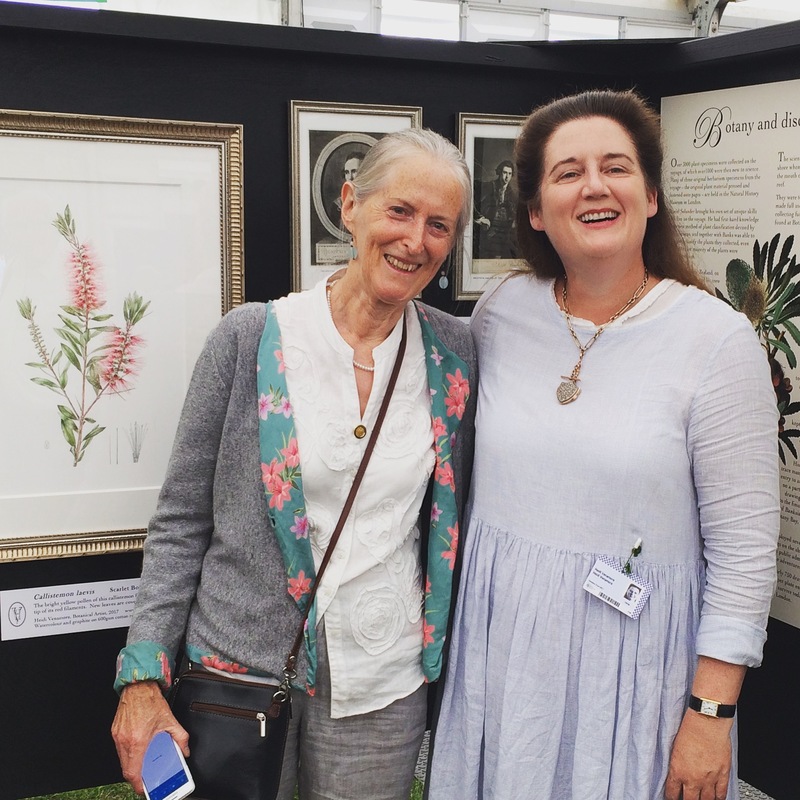 The judge for 2016 was Lucy T. Smith, botanical illustrator at the Royal Botanic Garden at Kew. 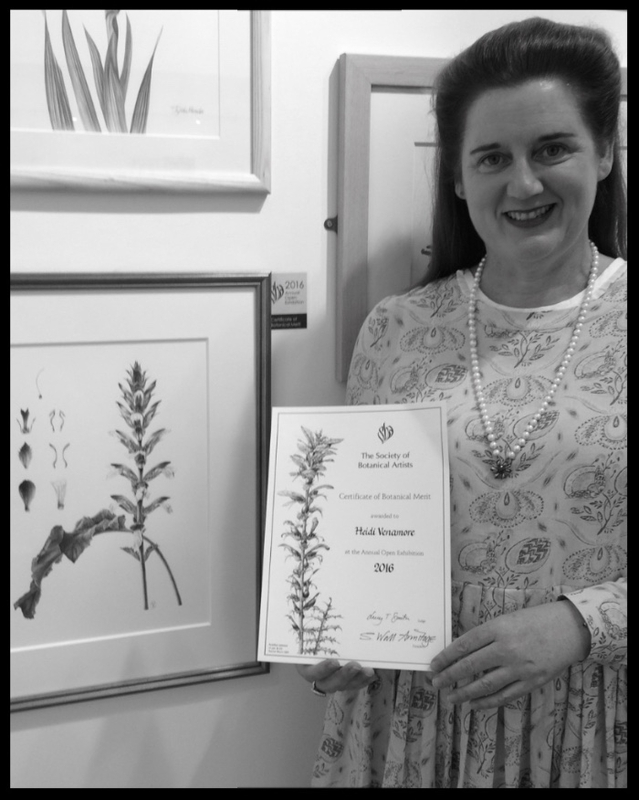 These coveted certificates are awarded to a small number of paintings in the SBA Exhibition which depict the plant with botanical accuracy as well being painterly. 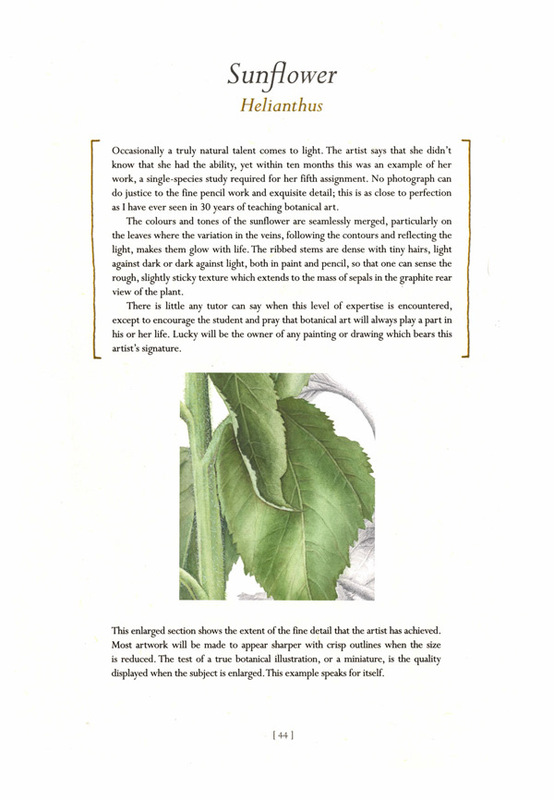 For more detail, see the Making a Mark blog site. 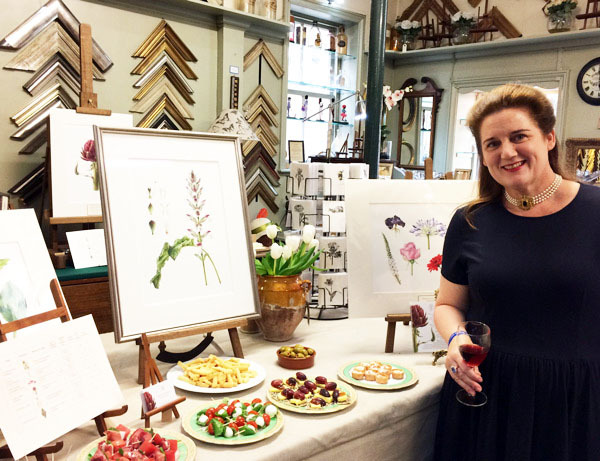 Heidi with her CBM and the painting of Acanthus mollis. 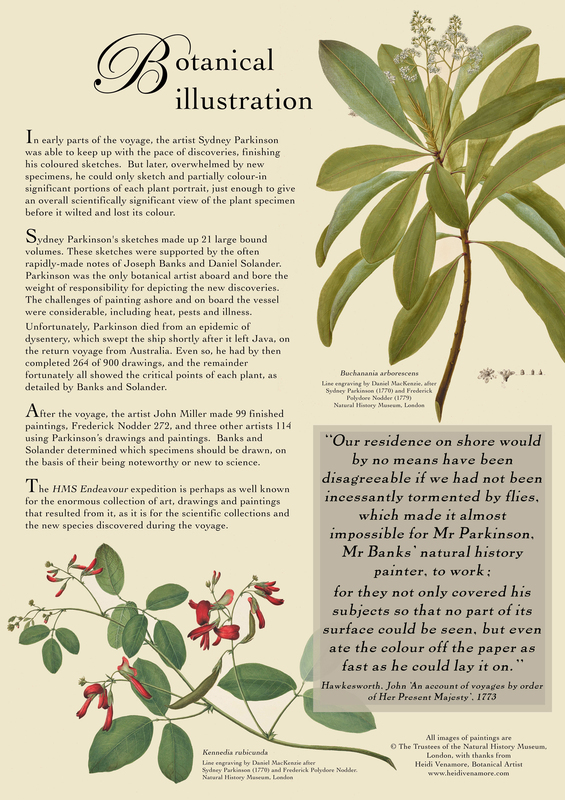 Handbook of Plant Forms for Botanical Artists, Clark, E and Stevens, M, Pavilion, London 2013, pp 44-45. 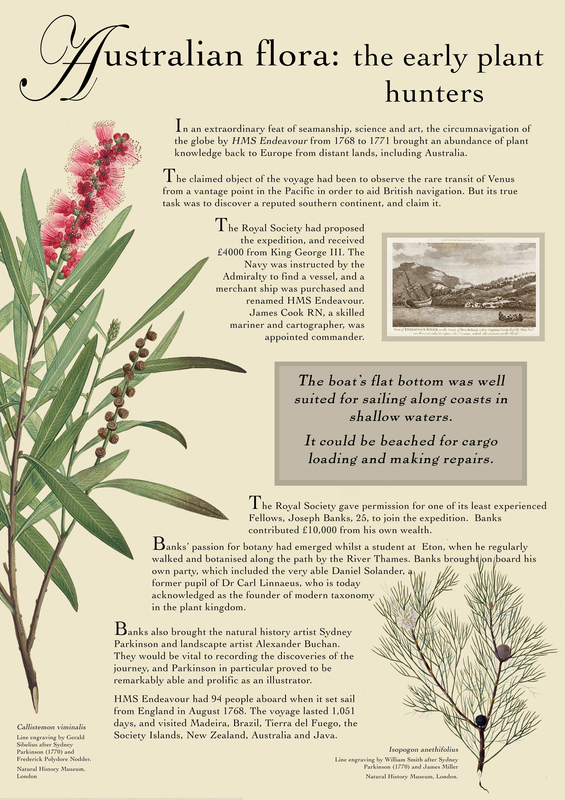 Reproduced here with the kind permission of the publisher and author.